Finally get out into nature again, smell the forest air and pedal! The right mountain bike doubles the fun factor. With the Dice 29-series 6.0 ,you are on the go off the beaten track in a controlled and sovereign way. The Schwalbe Smart Sam tyres provide comfortable rolling and grip in the terrain. Keep control of your MTB with a Rock Shox suspension fork with a lock-out function on the handlebar. The tried and tested hydraulic Shimano disc brakes also provide a safe grip in hazardous situations. Find the right gear quickly and accurately with the Deore derailleur system from Shimano. 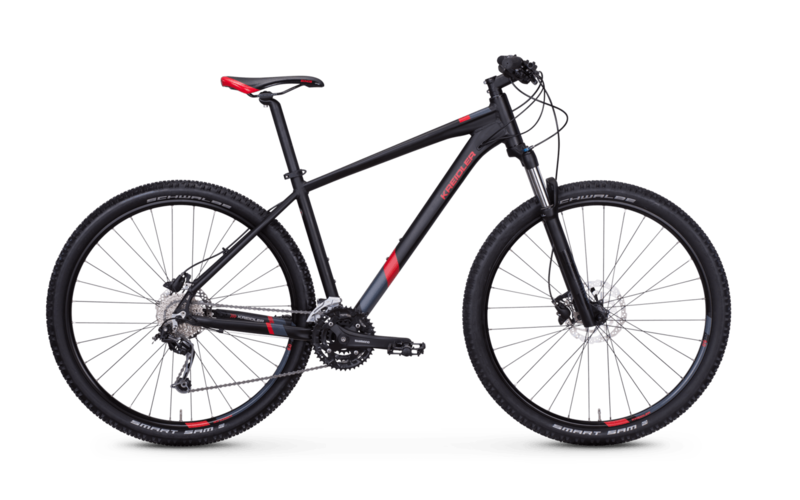 So your MTB gets you going reliably through the terrain!